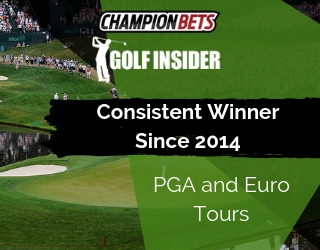 We bang on a lot about value when it comes to betting. The reason is simple: without finding and betting to value, you simply cannot make money on the punt. 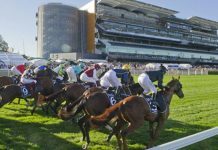 The only way any punter is successful in the long term is by backing horses that are under-valued by the market, and avoiding or opposing those which are over-valued. Ultimately, this simply means backing those horses whose chances of winning are better than their odds indicate. Many of the questions we get in the Champion Bets office boil down to this very issue, so let’s try to break it down using our all-time favourite method: the simple example. This comes as a shock to many people, but the most important factor in being a successful punter isn’t picking winners. You could pick the winner of many races, but unless your bets represent value you won’t make money. 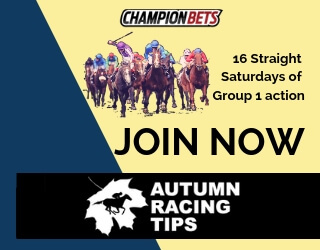 As I’ve heard many successful punters say, get your form and staking processes right… the winners will come when they’re good and ready. The simple explanation is that horses don’t make money. 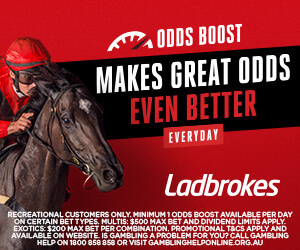 Winning bets at value prices do, which means you don’t just need to beat the other horses. You also need to beat the market. As far as we know, nobody can perfectly predict the future (if you can, by all means drop us a line). Even the best form student doesn’t know which horse is going to win any given race. They may have a strong opinion on the runners, but we’re not dealing with certainties here. A million different things can (and frequently do) happen in a race. Successful punters frame their own markets based on their assessment of each runners winning chance. They may rate their favourite a $1.20 chance which you may read as being a ‘moral’. But that doesn’t mean they know it’s going to win. It’s means they give it an 83% chance of winning. Or more accurately, if this race was run six times then this horse would win five of them. It’s the same with a longer shot. A $41 shot doesn’t mean it could never win. It means it has about a 2.5% chance of winning. Or, if there were forty identical races, the horse would win one of them. The thing to remember is that we don’t know which of the six races this is for the $1.20 shot: one of the five wins, or the one loss? And is this upcoming race the “one in forty” for the $41 shot, or just another of the other 39? For everybody else, it’s a long-term thing. So you don’t really need to worry which of the six races this is for the $1.20 chance, because you’ll be assessing all six in the long term. And you’ll be assessing all forty races for the $41 shot too! So you will see that single win happen at some stage. In the long-term market, backing the $1.20 chance at it’s rated price – $1.20 – won’t get you anywhere. 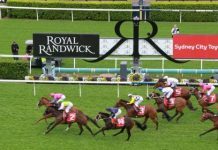 $100 stakes across six races leaves you $600 outlaid and five collects of $120. You can do it as long as you like. You might as well bank your money at 2% interest, at least you’ll make a profit. But what if you only bet when there’s value? When your $1.20 chance is (for the sake of simplicity) available at $1.50. Same scenario: $600 out, five collects of $150 for a total of $750. Now we’re getting somewhere. You go to the track one day with your mug mate. 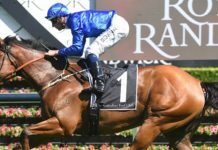 He backs the $1.20 chance in six races. Five times he gets “the winning feeling”: he’s jumping around, high-fiving other mugs. He’s backing winners… which is what it’s all about, right? As we’ve already shown, he’ll leave the track having made no money. A mug may well be happy with that, but if you’re in it for profit, it doesn’t pay the bills. Meanwhile you, the profitable punter, is picking and choosing races, backing horses at value even if others think they’re no chance, and staying out of other races altogether. Boring? No hero status amongst the mugs? It takes you a few race meetings to identify your six races where the $1.20 shot is available for $1.50. So that’s when you bet, and you make the $150 profit we spoke of above. 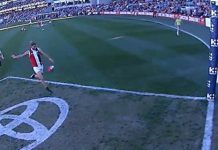 The five “punch the air” moments of winning feeling, the drunken adoration of the fans, and zero profit? Or the one or two actual value wins, knowing that if you do the same thing week after week, you’ll be in front? That’s what you need to ask yourself. Our brand-new Queensland Winners membership has been on fire since launching in September. 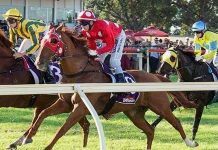 ‘The Professor’ has made over $2,900 profit at 48% profit on turnover in less than 2 months, with 18 winners from 60 betting races to date.